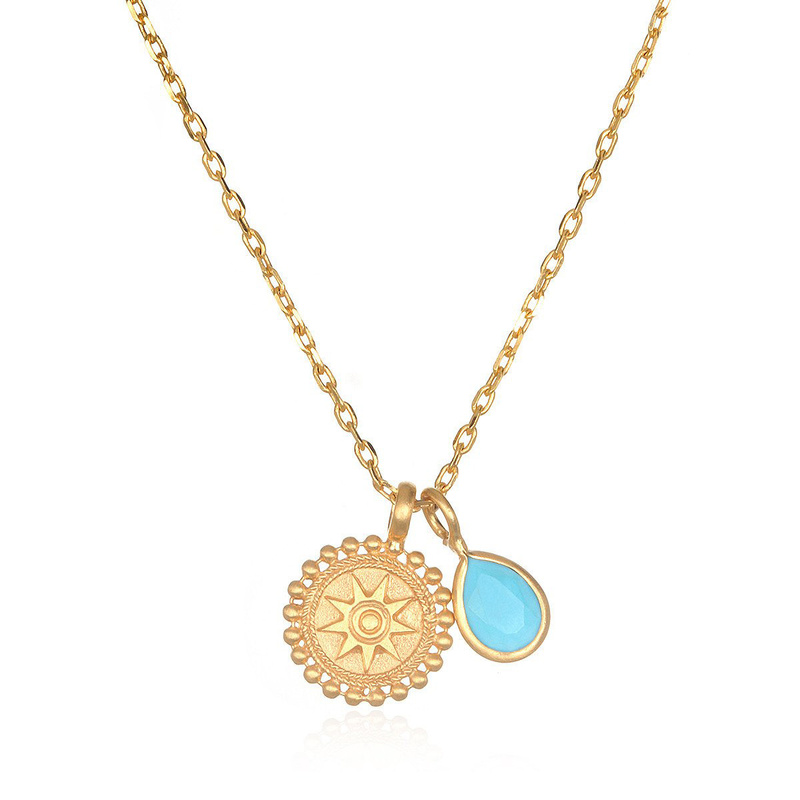 This gorgeous Exalted Meditation necklace from Satya Jewelry combines gold and turquoise in a happy, design that exudes positivity. The turquoise stone has a droplet shape and is surrounded by gold. Turquoise is known for its uplifting energy that can help accentuate health, intuition, and self-expression and particularly resonates with the throat chakra. The gold mandala (the Sanskrit word for "circle") is an ancient symbol representing the universe and is often used as a focusing aid in meditation. 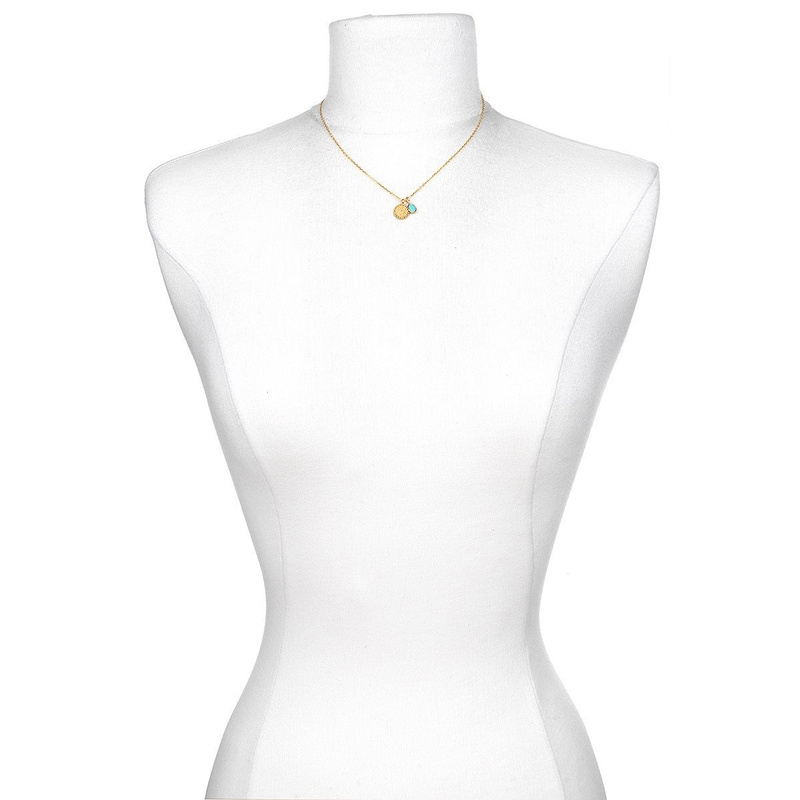 The two petite pendants dance together in an arrangement that is joyful and light.